Spring is here and it’s time to plant that garden. We have a light weight, free draining soil blend that will get your garden off to a great start. Our Organic blend is excellent for raised beds and for incorporating into existing gardens and containers. Our Organic Garden Mix includes: Worm castings, composted horse manure , loam, delta sand, lava sand, peruvian seabird guano, aged forest mulch, approved fertilizers such as feather meal & bone meal. This works well as a planting mix for heavy feeding plants. This may be purchased in bulk by ¼ yard increments or by sacks. This is a premium light weight planting mix. Perfect for herbs, veggies and flowers. You can amend your soil or plant directly into this mixture.Our plant mix consist of a blend of chicken compost, sandy loam, lava sand, aged forest mulch, and a slow release fertilizer 15-15-15 (nitrogen, phosphorous,potassium). This is our professional quality potting soil for gardeners, nurseries, landscapers and medicinal gardeners, who demand the finest in soil products. Growers Choice Plus is scientifically formulated to provide a complete healthy plant growth medium that is designed to provide a complete fertilizer package for healthy plant growth. We have supplied out customers with this special blend and have had great feedback on its success. It is specifically designed for container grown plants and is excellent for herbal and medicinal gardens. It is abundant in nitrogen and potassium. Ingredients: Perlite, Lava Rock, Rice Hulls, Earth, Chicken Manure, Grape Pumice, Organic Yard Trimmings. It is then topped off with additional Feathermeal for a well-balanced soil mix, your plants are sure to love. Amended Loam has a 40 % dirt base. Great for new lawns, mounding and general planting. This soil will retain moisture due to the heavy dirt base. Our Amended Loam consist of: Sandy loam, organics with a 15-15-15 fertilizer (nitrogen, phosphorous, potassium). Ph balance at approximately 6.5 to 6.9. This mixture is our heaviest soil based mix. Great for making mounds, building up large area’s where you prefer less organic material . This would be a great planting medium for native plants. This is also a great soil base if you would like to add your own compost and create your own custom soil blend. 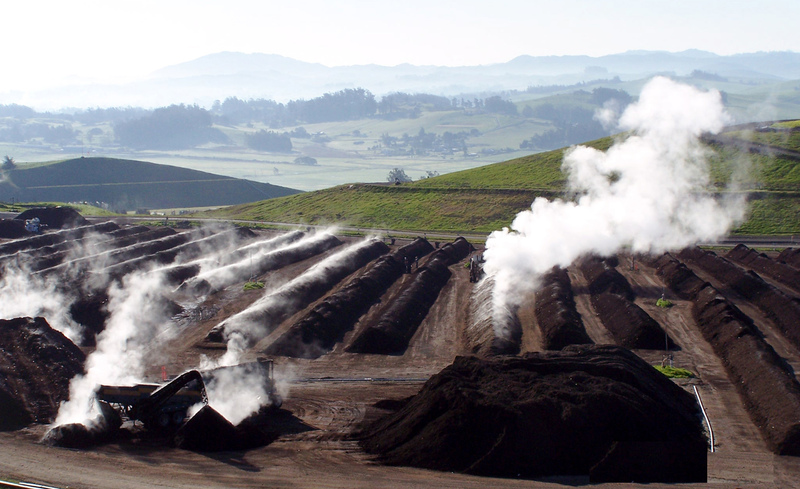 Economy Soil consist of : 50% Dirt, 50% Nitrolized Sawdust. 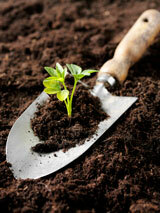 Sonny’s Organic Compost provides a wealth of slow release nutrients and beneficial microbes to your soil and plants. This is an excellent long-term soil conditioner, and will add moisture holding capacity to those West County Soils.This will help improve soil structure and give plants the nitrogen needed for a vibrant start. Sonny’s Organic Compost consists of: Compost made from recycled yard trimmings to increase the nitrogen level. This is a nice rich dark compost. This will introduce a beneficial dose of microorganisms to your soil. Sonny’s Organic Compost is organic. Oyster shell is a natural organic source of very high quality calcium carbonate. Oyster shell is rich in calcium, which improves fertilizer utilization and increases water penetration. 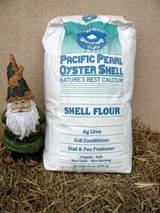 Oyster shell will improve soil aeration and texture. Spread rate will vary and may need to be adjusted depending on the soil type, the acidity or alkalinity of the soil. To make rapid and complete ph correction apply 4 to 6 pounds per 100 sq.ft. Gypsum improves clay soil by causing the tiny clay particles to group together into larger units or crumbs, which improves aeration and drainage in soils. Gypsum can be used for raising PH, adds soluble calcium and sulfur. Improves soil conditions and increases fertilize effectiveness. Depending on the soil type, spread rate will vary and may need adjusting. For heavy clay soils 20 to 40 lbs. per 100 sq.ft.